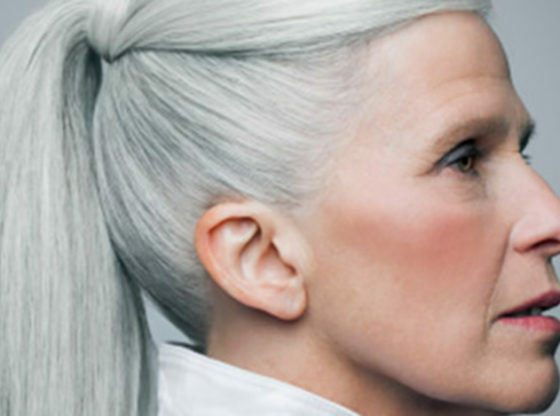 Apart from pesky wrinkles and saggy skin, greying hair adds on to the ever growing list of beauty banes that come with aging. The age at when your first greys appear is largely pre-determined by genetics, so look to your mom and nana to have a rough gauge of when that onset will be. 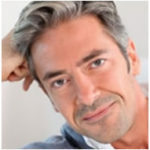 Past the age of 30 and the chance of greying will increase by 10-20% for every decade forward. 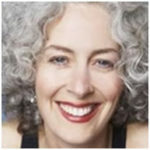 While it might be somewhat more acceptable if one turns grey in her 40s or 50s, it can come as a shock if grey follicles start multiplying in your 20s or early 30s. So if you find your hair color lightening up too early in life, here are 5 useful tips that might help you keep those “50 shades of grey” at bay. Changing your hairstyle may be all that is required to deal with early greying. By flipping your usual parting over to the opposite side or moving it ever so slightly, you might be able to hide quite a fair bit of exposed grey roots. Those first few grey hairs that one unwittingly caught sight of in the mirror are inevitably sticking out like bright neon cyalume sticks to you. But the truth be told, you are probably going to notice them a hell lot more than those around you. People have got better things to think about than what’s on your head, so you can simply choose to ignore those few puny strands of white and grey while there aren’t that many around. Go ahead and pull if you want to cause it’s nothing more than an old wife’s myth that “7 will pop up to attend the funeral of one” if you yank out those unsightly bits. Supermodels such as Kristen McMenamy and Daphne Guinness are two gorgeous looking creatures that defy convention and re-wrote modelling history, creating a unique signature look with their bold silver tresses in a sea of cookie cutter mannequins flooding an industry that pride youth as a precious commodity. Continuing to grace the cover of top publications with numerous endorsement deals under their belt, these rule bending ladies proved that going grey may not actually be as terrible as we make it out to be.So instead of going against nature, embrace the change and make it your trademark too! One of the first steps towards better hair care is to invest in a great shampoo and a deeply moisturizing conditioner to whip your slivering mane into better shape. The FDA approved Revage 670 Laser performed on its own or as part of the Keramax Scalp Program is an excellent adjunct to rejuvenate a thinning scalp or receding hairline that’s often associated with early greying. Revage works by thickening fine, miniaturized hair, with scientific papers backing a 40% increase in hair density and an impressive 85% success rate in halting the progression of hair loss. This is therefore not just a treatment that targets current hair thinning but is also useful to help prevent further hair loss in both men and women. For optimal outcome, Revage is best done twice weekly for the first 6 weeks, then weekly from the 7th till the 22nd week, followed by periodic maintenance sessions as recommended by your hair specialist. Plucking the occasional stray grey used to be sufficient to keep them out of sight. But eventually one got to quit that, or risk going bald. If you remained unconvinced that one can be grey and gorgeous, it’s time to stockpile on ideas to hide those damned follicles. 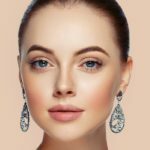 One of the fastest and easiest ways to camouflage greying roots is with temporary hair color that can be conveniently applied with a mascara wand liked applicator. 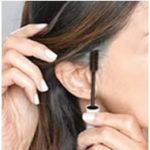 Remember to keep your fingers out of your hair for not unlike eye makeup, this type dye can smudge and wipe off. 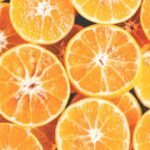 However, if well cared for, this quick fix cheat tip can possibly last up to two days, and will mask those pesky grey roots with panache, to give your confidence an assuring boost. Eventually one will be faced with the decision on whether to color your hair or not. Coloring to keep your greys covered is a constant process and you will have to put in a certain amount of effort while at it. My take is that if you can’t be bothered with frequent maintenance, it is better to rethink your decision and look for other alternatives, rather than walk around with unkempt two- toned tresses, a direct shout out of plain shabbiness, impossible to pass off as ombré gone wrong.If salon quality products and treatments are out of your comfort zone, one can opt for budget- friendly solutions such as a simple glaze, a pale blonde or even a color shampoo that will help you create a hair color that matches your skin tone and yet remain relatively fuss free and easy to up keep. As long as you don’t deny your hair the optimal care that is require at this stage, even greying hair can be transformed from “meh” to “yay”. 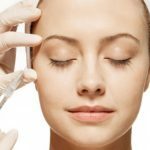 Is Facial Threadlift for You?